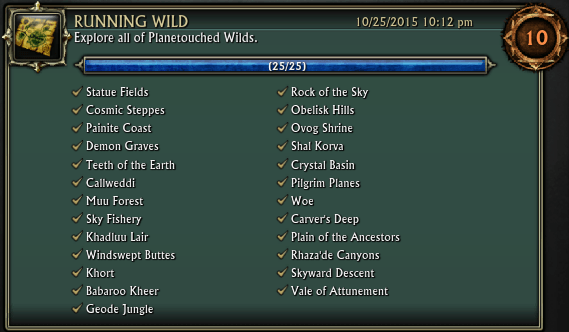 Most of the Planetouched Wilds cheevos are linked to the rares and the puzzle. On this page I have guides for Come Fly Away, Vulnerable Species/Mass Extinction and Running Wild. 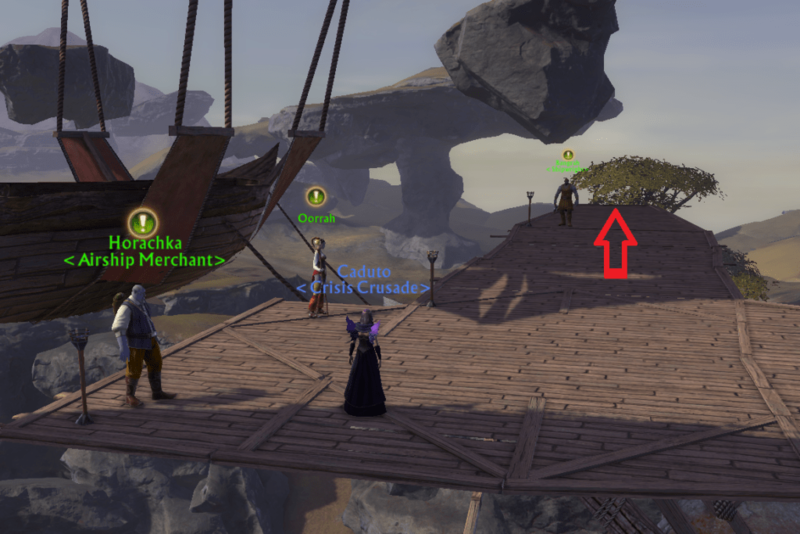 Here you will find 3 quest givers who gives quests for the airship! You can pick them all up, or just do the one required for the cheevo. 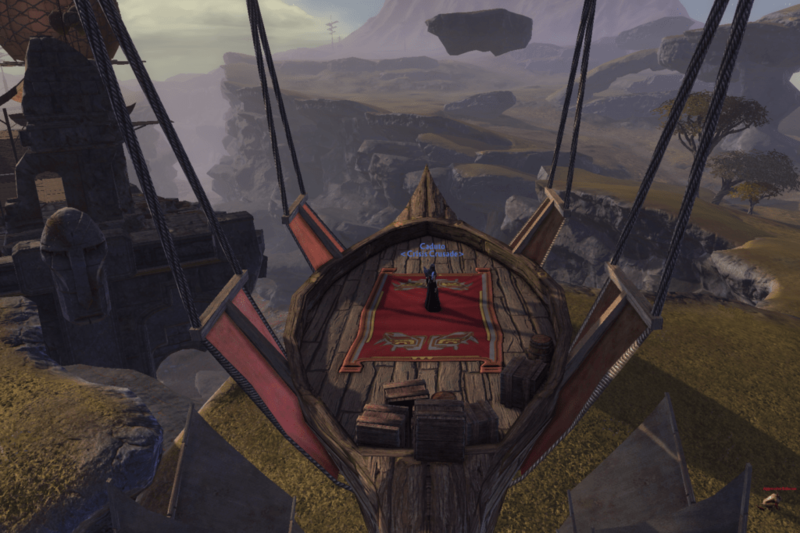 Once you have picked up your quests, head over to the back of the platform and wait for the next airship! The airships take a full tour around Planetouched Wilds so it may be a couple of minutes before the next one arrives. 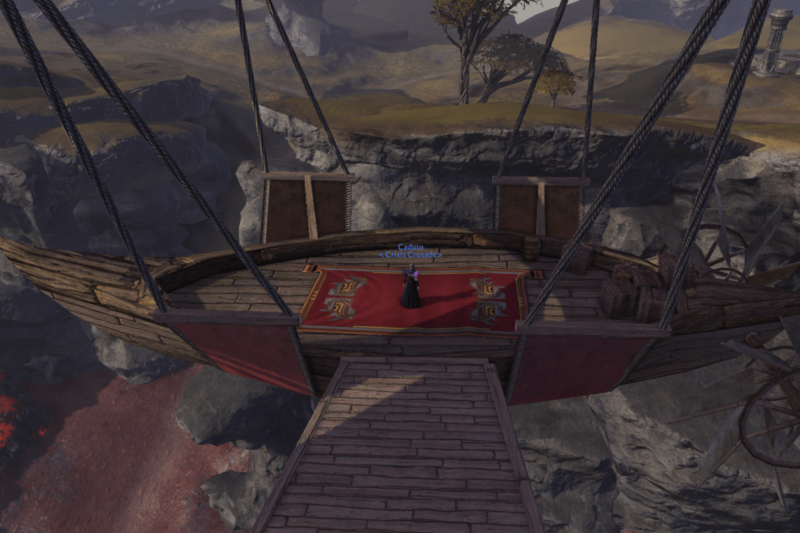 To complete the Soaring Over Shal Korva quest you will need to walk onto the airship when it arrives and then just stay on it for the whole trip. The other quests require you to use quest items (moths or fireworks) at certain points or get off the ship onto one of the floating islands and then jump down. 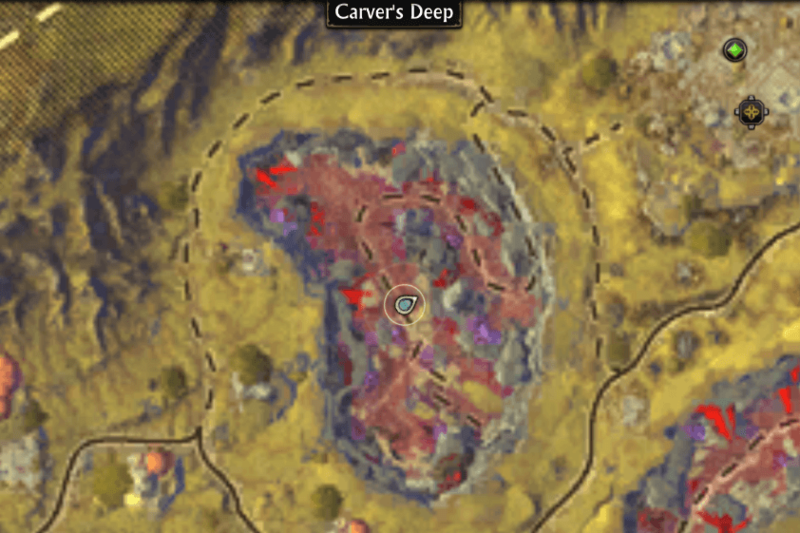 This is a progressive cheevo, with points awarded for each stage of completion..
A good spot to farm these is in the crater to the west of Woe called Carver’s Deep. Here you will find many mobs that count towards the cheevo. You can kill them all and then switch shard and kill them again!